We know it’s hot out there – and we’re not the only ones feeling a bit dehydrated. Our gardens feel the heat too, and sometimes need some extra TLC to make it through the swelter. It’s still important, though, to minimize water usage, which brings us to a crossroads: Use more water to save your cherished garden or conserve and hope the plants make it ‘til September with less than optimal water? With the garden watering tips below, hopefully you won’t have to choose. There are a wide range of measures you can take to ensure your garden survives – and thrives – through the summer without using up the water supply. So read on and tackle your garden with a new confidence, even through triple-digit temperatures. a. Install a water tank to collect rainwater. b. Save the water you use to cook instead of pouring it down the sink (bonus – the nutrients from your food will act as fertilizer for your plants); just make sure it’s cooled off before watering. c. Save the old water from your fish tank. 2) Use mulch! This will keep soil moist as well as prevent water-sucking weeds from growing – and will also add nutrients to your garden. You can find a wide range of high-quality mulches here. 3) If you use a hose, invest in a soaker hose like the ones here. Soaker hoses are made of a porous material through which water seeps along the entire length of the hose. Water leaks out from the hose at a rate that the ground can absorb, so there’s no excess runoff, meaning more efficient watering of your plants. What’s more, since water is released so close to the ground, less of it evaporates, and instead, it goes directly to the roots of your plants. 4) While we’re on the subject of hoses, you may also want to check out a drip irrigation hose, another great option for efficient watering. These are similar to soaker hoses but are made of flexible plastic tubing that water slowly drips out of. They’re better for using on sloped surfaces, so if you’ve got an uneven yard, you can check out some of these hoses here and here. 5) If you’re starting out with your garden (or are willing to do some rearranging), consider creating garden zones based on which areas are naturally sunny or shady, or receive more or less water runoff. Grouping plants together by their specific needs means you won’t have to water your entire yard every time but can water by area instead. 6) For those who are looking into purchasing new plants, try to find varieties that require less water. This includes slow-growing plants or plants with small or narrow leaves. Also, plants that are native to your region will be better adapted to the climate, which can often mean lower water requirements. 7) Plant tall plants or garden structures in your yard to provide some shade if you don’t already have it. Plants that live in shaded areas need less water. 8) Invest in a moisture meter! These small, inexpensive devices will provide quick data on how moist or dry your garden’s soil is. Ideally, you want to get to that sweet spot of 40 – 70 percent moisture. You can find several moisture meter options here. 9) Time your watering. For gardens, morning is best. This will give your plants plenty of water to get through hot days and will reduce the amount of water that evaporates since winds are usually lighter in the morning. For potted plants, watering in the afternoons has been found to lead to the healthiest plant growth. 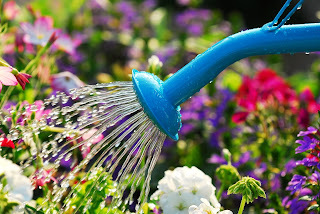 Watering in the evening works too, although it’s less likely that the water will evaporate from the leaves of your plants, which could lead to fungal growth. 10) For potted plants, consider the material of the pot. Porous pots (like clay) will draw more moisture from the soil, so you’ll have to do more watering. It’s important to keep in mind that, to a certain extent, plants will adapt to the water they receive. Of course, they will need a minimal amount to remain healthy, but watering them more than necessary means plants will get used to living off that amount of water. However, that doesn’t mean that they need it. 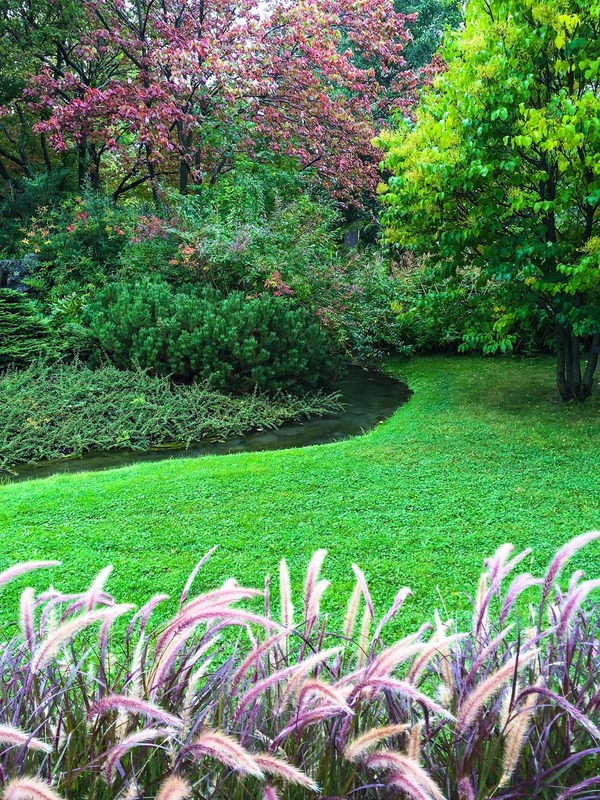 Maintaining a healthy garden is an art, and it’ll require a certain extent of trial and error as you learn about the plants growing there and the specific conditions of your garden. 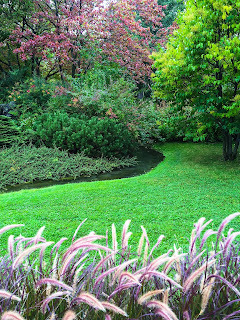 Following these tips will help – but every garden is different. Experiment a little on your own and see what works best for saving water in the garden! Top picture One of the most beautiful picture i ever seen. size of picture is short but its won my heart. seriously i love your post.